A 16th-century inn on the edge of Dartmoor National Park, The Castle Inn offers comfortable rooms in a traditional West Country pub. 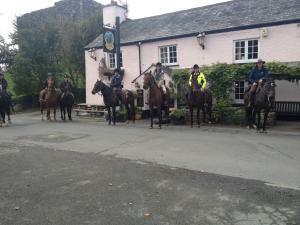 In the village of Lydford, this inn provides free Wi-Fi and has free parking nearby. See all Castle Inn reviews..